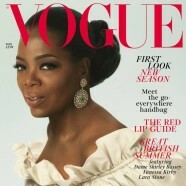 Oprah Winfrey is the cover star of the August issue of British Vogue. 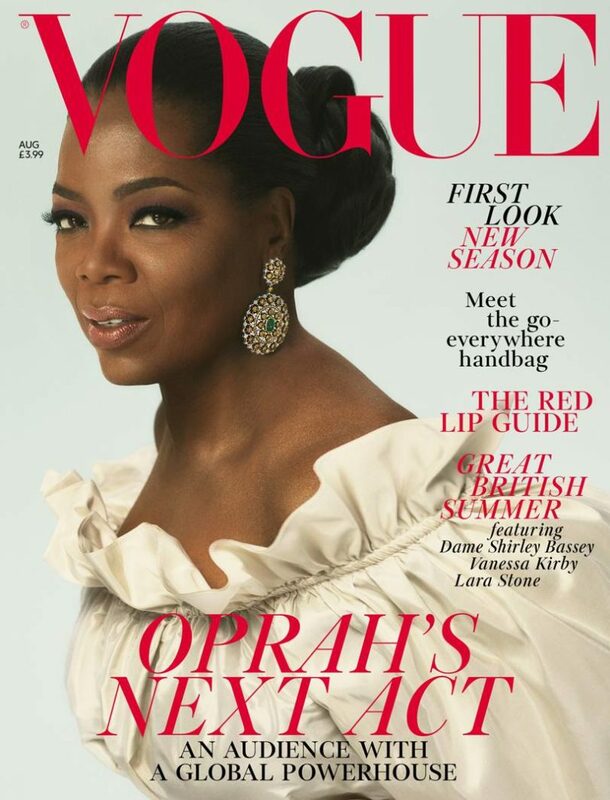 On the cover, the media icon wears a custom-made taffeta gown from British designer Stella McCartney and white-and-yellow-diamond and emerald earrings by Buccellati. Photography was by Mert Alas and Marcus Piggott, with styling by Vogue editor-in-chief Edward Enninful, hair by Nicole Mangrum and Malcolm Edwards, and make-up by Derrick Rutledge. 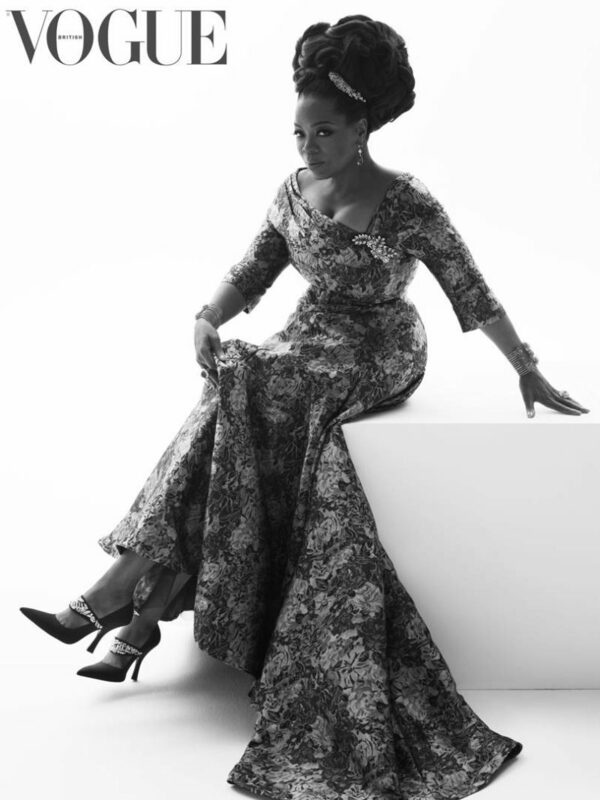 In the accompanying editorial Winfrey looks flawless. In one image she wears a made-to-order Duchesse-satin dress by Alexander McQueen, and another where she sports a made-to-order green jacquard gown. The August issue of British Vogue in store will hit newsstands on July 6.